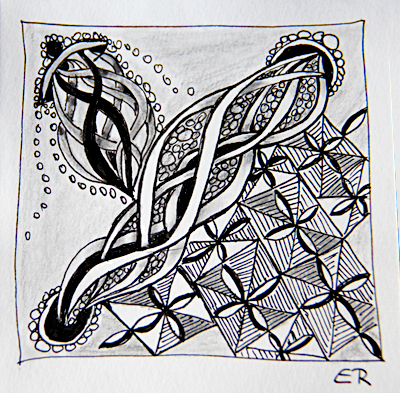 TNTM by Suzy Mosh - weekly challenge 48 with letter Q.
I chose her "4 corner"
Thank you HeidiSue. I'm glad you like my tile. Lovely tile! It's got some great contrast. Thank you very much, dear Michele! I'm glad you like it.